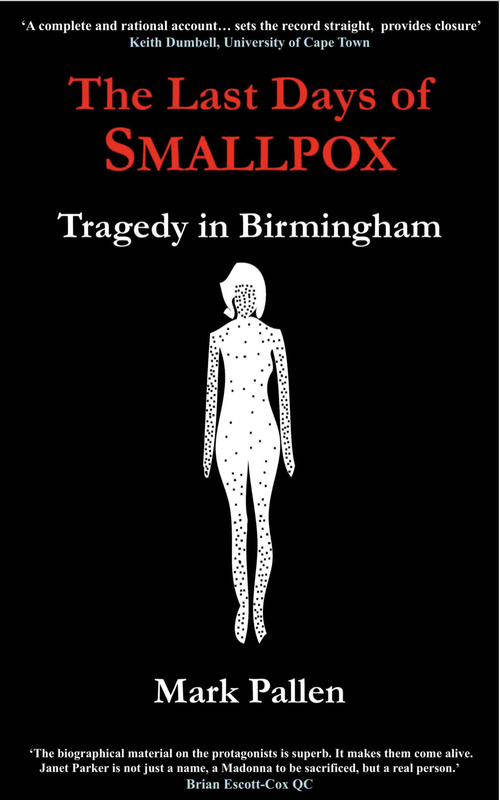 Pallen takes us through in immaculate detail the escape of smallpox from a lab at Birmingham University, the sad cases of Janet Parker, a photographer who worked in the same building and died of smallpox, and Henry Bedson, the microbiologist in charge of the lab who committed suicide as a result of the stress of the outbreak. Pallen covers the possible ways that Parker could have become infected and gives a blow-by-blow account of the court case when the Health and Safety Executive took the University to court over the outbreak. All of this could have been rather dull, despite the gruesome topic. However, Pallen has a gift for dramatisation and the account, often in the present tense, gives a sense of urgency and reality to the narrative, in a way that I've rarely seen in a science book. A few years ago I was taken on a tour of Porton Down to record a radio programme and remember the stomach churning frisson of looking through glass at people handling deadly diseases. I was taken straight back to that corridor and the feeling of tension I felt there by Pallen's excellent descriptive writing. The book is self-published, but has been proof read and copy edited well. It only really shows in the print size, which is smaller than I would have liked. A publisher might have tightened up a few parts, notably the account of the court case, which perhaps went into a little too much detail, but if you like legal stories (which I do), it was no problem. 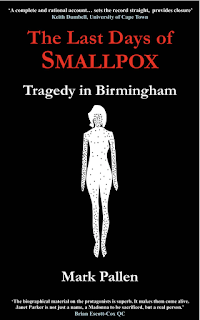 The combination of the account of the defeat of the deadly virus that inspired the process of vaccination with the particular and very human happenings at Birmingham in 1978 makes this book a real winner.